Buccal Fat Reduction is a procedure for reducing prominent cheeks, sometimes referred to as “Chipmunk cheeks”, that can contribute to a very rounded facial appearance. This is accomplished by removal of buccal fat pad tissue, one of the layers of tissue in the cheeks. By doing this, it’s possible to get a more defined, younger look, or to reduce the prominence of the cheeks creating a rounder shape to give the face a more balanced look. Buccal Fat Reduction can dramatically reduce the prominence of cheeks to a more natural look. 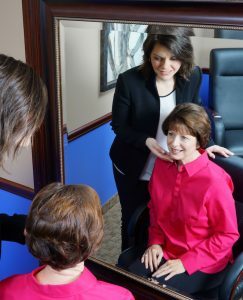 As with any procedure, Dr. Elizabeth and her staff will review the details of the Buccal Fat Reduction technique with you and help you determine if it is right for you. We will answer all your questions and make sure you have everything you need to make an informed decision. The procedure may be performed under either relaxation and local anesthesia or IV sedation. As a stand-alone procedure the buccal fat pad can be accessed through the inside of the cheek. If a lifting procedure is being performed, the buccal fat pad may be accessed through that incision. The desired amount of tissue is removed from the pad to achieve the reduction, and then remainder of the pad is replaced. The incision is then sutured and the process is complete. After the surgery, you will need to avoid physical exertion for a couple of weeks. Downtime can be minimal from a few days to a couple of weeks depending on the technique. 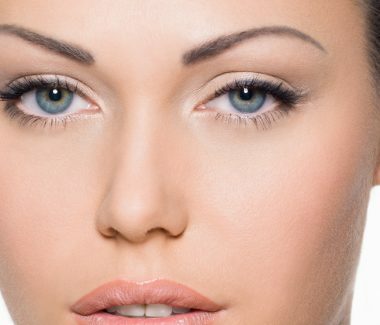 After the surgery, you will see a change in cheek structure and a more balanced look to your face. You may also noticed that your face looks younger and more defined.